The The Buffet is a restaurant inside Thunder Valley Casino Resort in Lincoln, California. Fresh ingredients. Good selection. Only 4 stars because it's best to grab stuff fresh as it comes out. This used to be one of my favorite places to eat, but the last few times have been bad. Today we came at 4:30. We were charged for their dinner price but it was obvious that everything they had out had been there since lunch. Horribly disappointed. But you can expect at this place is excellent food as always and if you leave hungry it will be your own fault this is a wonderful place to go and have lunch or dinner for a really good price. Compared to other buffet restaurants in Lincoln, this one is slightly costly. But it may be due to having more fish items in the menu. Food is great and I would love to be there once again. Great food at this place. 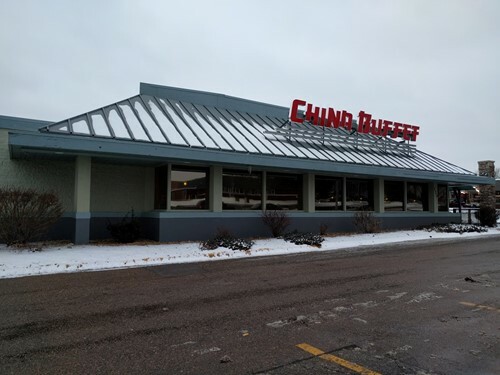 Get great Chinese and the luxury of the Mongolian grill is super convenient. I just wish they had a wider variety of deserts. During busy times it can get a little crowded around the food area, but still highly recommended. Thee worst of thee worst service I've ever had. Waited for 10min with no line so I sat my self with my kid. Then waited to see if maybe I could get a pop or a water for me and my kid. Yet once again waited so I decided.... @#$#÷ this were leaving. Good food. Had to wait because we had a large group on a Friday night. Quick and friendly service. Plates were cleared quickly and drinks refilled regularly.